Pemu, Pleased to meet you. My name is Scott. I am the creator of the Vocaloid fan sites MikuStar.com and MikuLove.com. 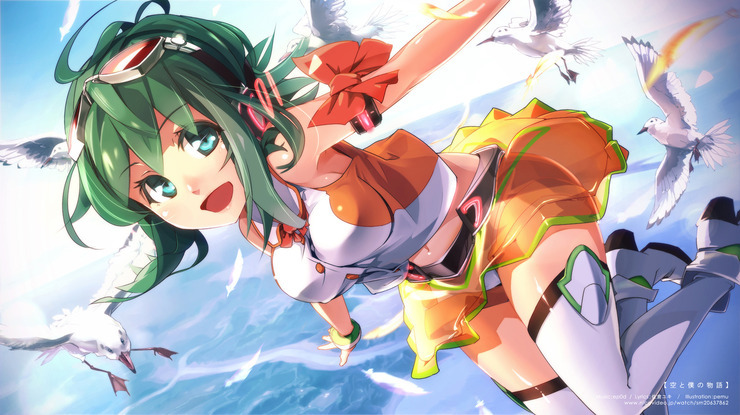 These sites are being converted to new domains and your illustration of Gumi has been selected as the May 2013 header image for the new blog which is called VocaJump.com. Thank you for sharing and allowing the use of your most beautiful illustration!